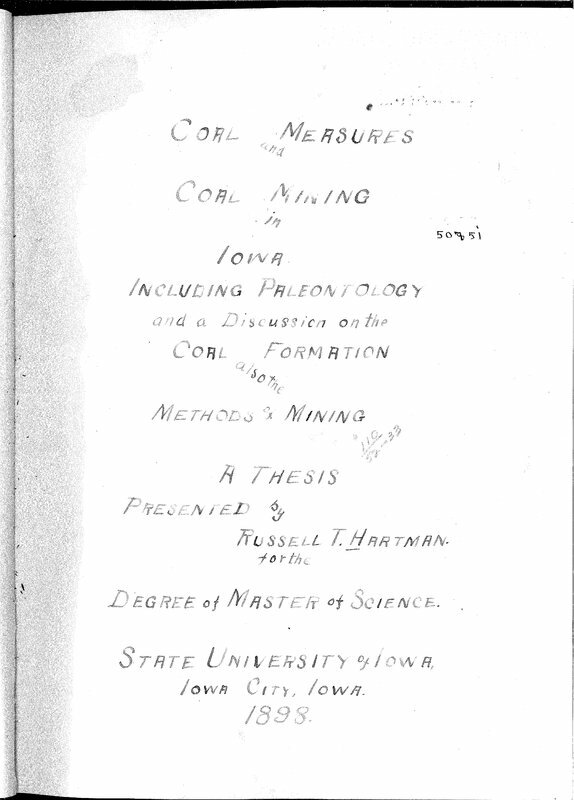 COAL MEASURES and COAL MINING in IOWA INCLUDING PALEONTOLOGY and a Discussion on the COAL FORMATION also the METHODS & MINING A THESIS PRESENTED by RUSSELL T. HARTMAN. for the DEGREE of MASTER of SCIENCE. STATE UNIVERSITY of IOWA Iowa City, Iowa. 1898.